Lucinda Ledford is a skilled and seasoned member of our Floral team. 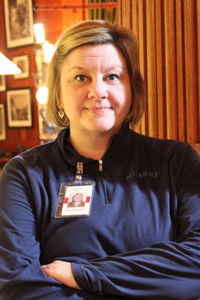 This Christmas marks her second year in a row decorating the Tapestry Gallery—the team rotates rooms about every two years—and this time, she decided to shake things up a bit. But after meeting with our Museum Services team, Lucinda learned that there was concern about how that arrangement may impact the furniture and other pieces of the collection in that room. “In order to get those larger trees in this space, we were moving the same items year after year—which was not ideal,” she explained. 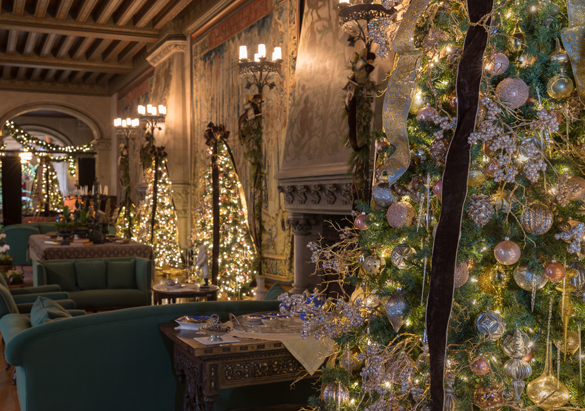 So this year, the longest room in America's Largest Home® boasts two 10-foot trees and three 6-foot trees instead. The new arrangement also allows for the Flemish tapestries to be displayed more fully throughout the season. “It worked out well since the colors for the décor are pulled from the tapestries themselves,” Lucinda said. This year, she’s incorporated rose gold and lighter metallic elements into her design. Also on display in the Tapestry Gallery is Santa’s list filled with employee Christmas wishes. And there is one thing you may notice is not in the room: the nativity scene. 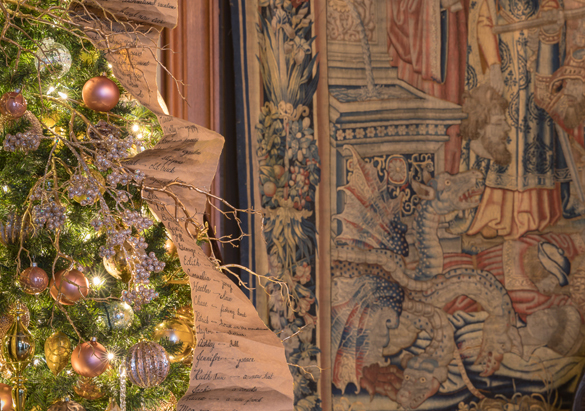 Join us for our Christmas at Biltmore Daytime Celebration or Candlelight Christmas Evenings to experience the reimagined floral design in the Tapestry Gallery, the nativity scene in a new light, and so much more.